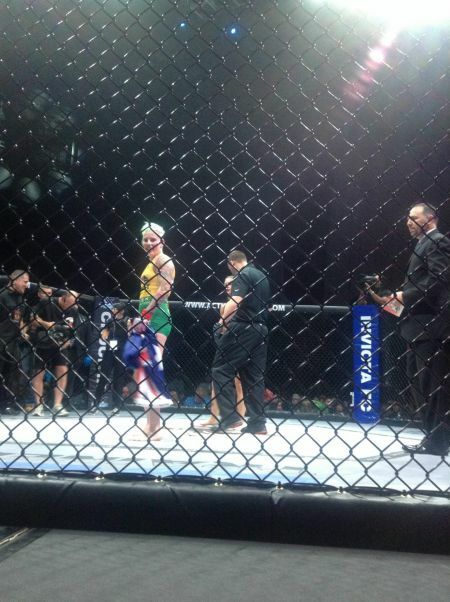 Who's next for UFC strawweight star 'Rowdy' Bec Rawlings? Australian strawweight phenom "Rowdy" Bec Rawlings (7-5) took to Instagram to tease a massive fight announcement, writing that she has some big news coming soon. The surging 115-pound talent left it up to fans to guess who she might face next inside the world-famous Octagon. What's on tap for the "Rowdy" one? Many fans guessed that undefeated Mexican striker Alexa Grasso (9-0) will be Rawlings' next opponent, while others called for the Aussie star to rematch Paige "12 Gauge" VanZant. Let's be honest: Either one of those fights makes sense. Grasso, a fast-rising strawweight prospect, is looking to climb the ladder and inch toward the top of the division. Rawlings would be a stiff test for her, a true barometer of her potential as a title contender. As for the "12 Gauge" rematch, it makes sense because their original fight was a hotly-contested, evenly matched affair, until "Rowdy" got caught with a lucky, fluke kick to the cranium. If Rawlings had one more crack at Van Zant, the fight could easily play out completely different than their first encounter. What should happen if neither of those fights end up happening? There's plenty of strawweights who might be a nice fit as Rawlings' next opponent, including Amanda Cooper, Cortney Casey or Maryna Moroz. Fans would also love to see what would happen if "Rowdy" ever finally got her hands on Joanne "Dr. Knee-vil" Calderwood. Rawlings and the 29-year-old Scottish talent were originally supposed to lock horns all the way back in 2013 at Invicta FC 4, and then again last year in the UFC. For whatever reason, the fight never came to fruition. Hopefully sometime in the near future, the UFC will set up the match between Rawlings and Calderwood, or at least give "Rowdy" a chance to avenge her loss to VanZant.